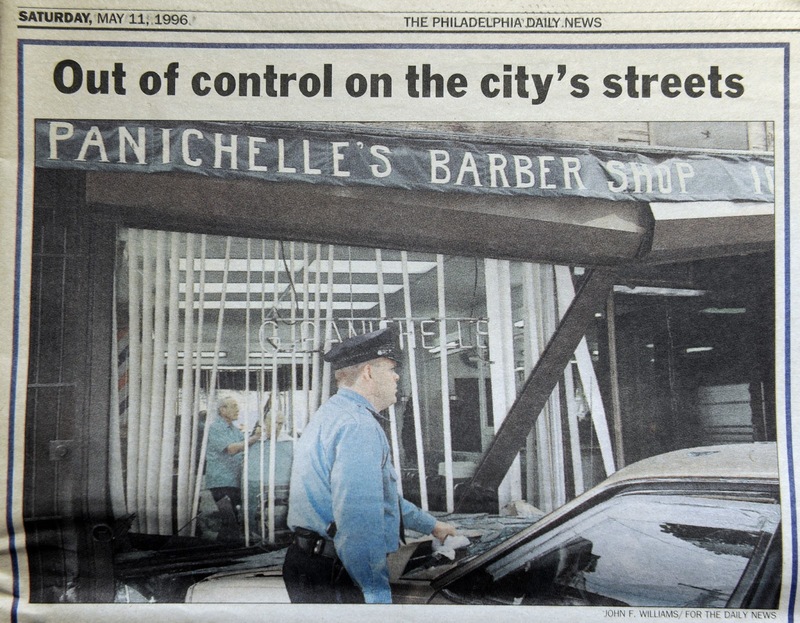 Tear sheet showing a stand-alone photo taken with the Kodak DCS 460 as it appeared in the May 11, 1996, edition of the Philadelphia Daily News. Was this a first? Last year I read an article on Popphoto.com titled "The 30 Most Important Digital Cameras of all Time," and the first thing that struck me was how many of these cameras I had the opportunity to use or at least get my hands on and the second thing was how far we've come in both quality and price. It also got me thinking about the first image I had published that was taken with a digital camera. Actually it was published twice. 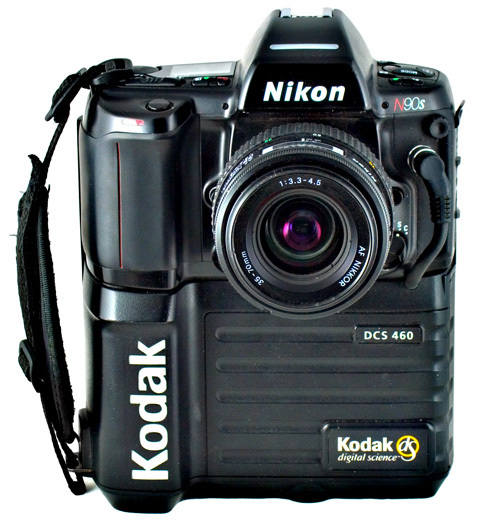 The Kodak Professional DCS 460 Digital Camera was introduced in 1995. The camera was a Kodak Professional DCS 460 which had a list price of $35,600, a 1.3x crop factor and at 6.2 megapixels was the highest resolution digital camera available at the time. In May of 1996 I was a photo editor and producer for Philadelphia Online (now Philly.com) and was working on an interactive seating map of the Blockbuster Sony Music Entertainment Center in Camden, N.J., and since I had access to the DCS 460, I decided to use it as I photographed the stage from various sections of the arena. A great time saver over shooting on film and scanning the negatives. 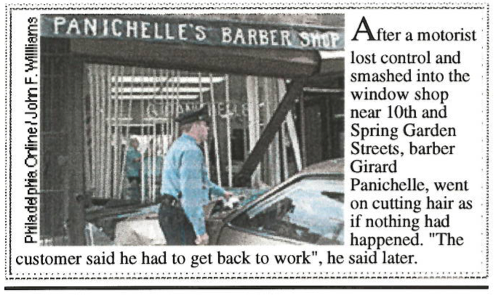 On the way to the venue, I came across an accident on Spring Garden Street where a car had smashed into the front window of Panichelle's barber shop. As I drove by I thought I caught a glimpse of the barber inside continuing to cut hair, so I parked, grabbed the camera and walked back to the barber shop and started shooting photos. Stand-alone photo as it appeared on the May 10, 1996, homepage of Philadelphia Online. View full homepage from that day. After I returned from the original assignment in Camden I downloaded the images from the camera and was showing a few editors the shot when one of them suggested we post it to the Philadelphia Online home page as a stand-alone photo, something we hadn't done previously. This was a first. The other suggestion was to show it to the photo editors at the Philadelphia Daily News, where it was published as a stand-alone photo the next day. So was this the first digital camera photo, not from a wire service, published in the Philadelphia Daily News? Hardly a case for the History Detectives, but I know if I had shot this with film, I probably wouldn't have processed it until the next day and by that time it would not have been news.